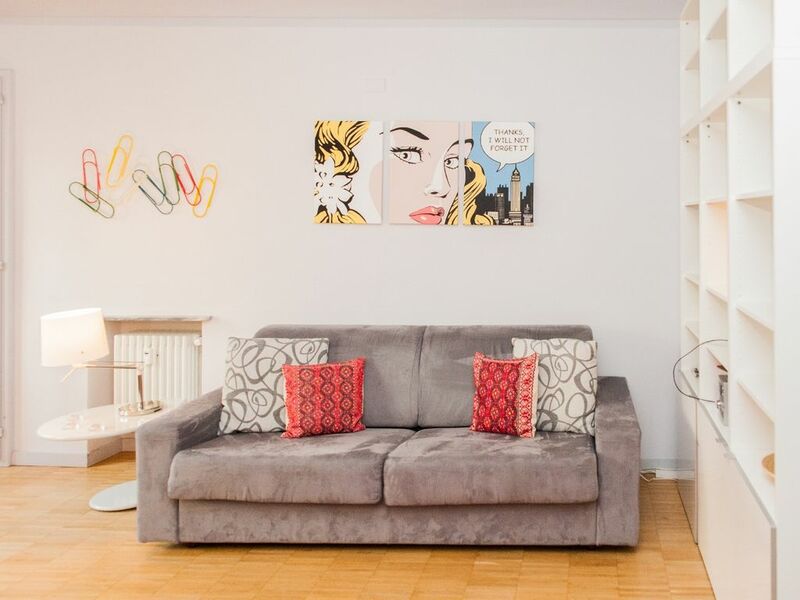 Completely renovated, Tastefully decorated and Ideally located 5 minutes walk from Piazza Statuto, Porta Susa Train Station (perfect location to visit Milan , La Venaria Reale, Langhe and the Alpes) and the city center. Shops, tipic restaurants, cafés, gelateria, pubs, markets, public renting bikes and all that you need to enjoy Turin without using your car. No charges for using our PRIVATE PARKING !!! After a long day travelling from Manchester (England) to Milan, then a 2-hour trip on the Shuttle Bus to Torino. We were very pleased to find such a bright and comfortable apartment to relax in. Everything was so handy around the Flat. From the nearby market, cafes, supermarket, bus-stop, metro (buy the excellent 15-trip ticket), and near Porta Susa - a Scottish pub open 'til late. Our old 70-ish legs could walk to Piazza Castello in 30-mins. Where you will find an excellent Tourist Office. From SuperGa to the Lingotto, we had an excellent two-weeks. Even a day trip to the lovely city of Asti (20-euro for the two of us). If there was a slight down side, you will find the courtyard at the back very busy in the day. Which didn't bother us. Even a night-time drink on the balcony when the traffic had eased at the front. Thanks to Sergio for the milk he left. Saved our lives when we arrived to make a cup of tea. Five Stars from us. To guest Anita and Peter was a real pleasure for us. They managed the flat as their own property and i'm very happy they enjoyed their stay and that they lived a relaxing "Turin way of living" staying in my apartment. Five stars guests for us!!! This was far and away the best place to stay in Torino and we liked it so much we would go back and tell our friends to go. The apartment is perfect for two people and within walking distance of many of the great museums,restaurants and shopping streets. The local outdoor market is great for stocking the fridge with fresh local produce and there is a fabulous butcher shop also a few steps away. Although the apartment is above a restaurant and a car repair shop it is pretty quiet, the weekends had a little noise from the restaurant at night but not much past 10pm. The car repairs are all done during the day and so are not really a noise problem. The washer works very well although drying is outdoors and can only be done on sunny days. All in all this is a steal and a treasure of a place. This review could have been posted earlier except for the return to the stress and backlog at work-wish we were back there now! Good location, although a bit walk from the city centre. Bus 56 is close but beware of pickpockets if crowded. Very serviceable kitchen (with gas cooktops) and excellent standard of equipment, utensils and crockery. Excellent wifi free. Sergio is very helpful. The apartment is great and so nice that you feel home away from yours!! The location is excellent, we could walk to the centre in a tic, but with the convenience of transport as well. The cleaning was so good and the owner extremely helpful and a lovely person. Next time I have to go in Turin I will re-use this apartment and I suggest to you to do the same, you won't regret the shops in the area and the lovely market with fresh produce just a step away!!! Enjoy as we did it!!!!!! Thank you very much to Sonia and Massimo! They have been perfect guests. A so nice family that I really hope to guest soon again. "The apartment was perfect for our stay in Torino a very elegant city with such wonderful history and charm. The apartment was easy for us to access the metro to get around the city. We enjoyed the apartment, it was clean and had most everything we needed. the WiFi was a bit of a challenge as we had multiple devices and only 1 USB access drive. Thank you to Barbara and Sergio for accommodating our arrival and departure. Will definately stay at this property again when we return to Torino." "Was a very short stay unfortunately."